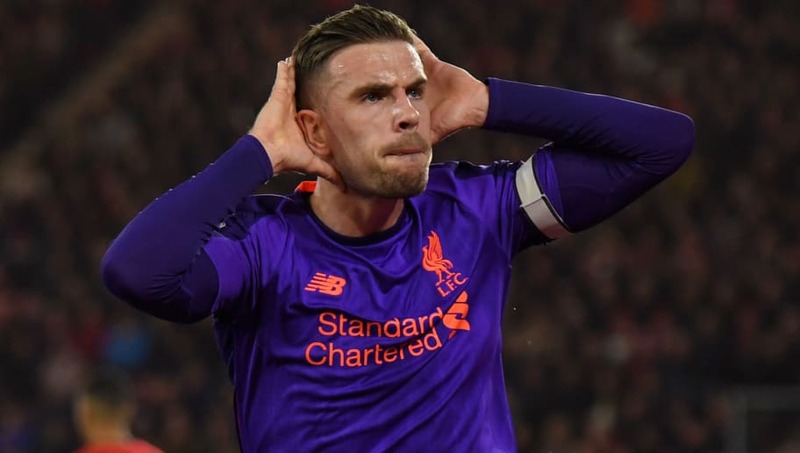 Jordan Henderson has revealed that the manager's words inspired him to a crucial goal that kept Liverpool's title challenge on track against Southampton. The Reds captain came off the bench in the 59th but not before Jurgen Klopp delivered him a stirring speech. Liverpool were once again looking to take advantage of an early fixture to pile pressure on title rivals Manchester City. Pep Guardiola's side returned to the summit with a victory over Cardiff mid-week but just a point separated the two sides. With the Citizens in FA Cup action this weekend, Liverpool made the most of their chance to reclaim top spot with just five games remaining. It didn't come without its obstacles though as Klopp's side went behind to an early Shane Long goal. Naby Keita levelled for his team to send the sides in 1-1 at the break. Klopp introduced Henderson and James Milner in the 59th minute with the sides still locked in deadlock. Southampton stood strong before Mohamed Salah gave his side the lead and Henderson provided the icing on the cake with a late third. The 28-year-old opened up in an interview with the club's website, revealing Klopp's message resonated in his ears as he rifled home that all important goal. "[Klopp said to] Use our experience and then make a difference. Help the lads, get them going because we were under a bit of pressure," Henderson revealed. "I felt as though we did that coming on, but so did everybody else. We kept going right until the end and we kept fighting and thankfully we managed to score a couple of goals and win the game." It's not the first time this season Liverpool have snatched victory right at the death and Klopp's side are developing something of a reputation for that in an ironic echo to the famous Alex Ferguson and his ​Manchester United sides. Henderson elaborated that it's always been part of Klopp's ethos adding: "He was big on that when he first came in a few years ago - that no matter what happens in the game, we still fight right until the very end. "That is what we have been doing for a long time now and we need to keep that mentality going and not stopping until that final whistle goes. To go 3-1 up and kill the game off really was a big moment and a big result. It was a must-win [game], we knew that."